Who shall be a legitimate owner of smiley face mark? The applicant, a Japanese legal entity authorized to manage intellectual property of The Harvey Ball World Smile Foundation, argued dissimilarity of the smiley design and alleged that the design becomes less distinctive as a source indicator, but just a stylized representation of a smiling humanoid face on the grounds that similar designs have been used for many years and 7,000 marks containing the design are/were registered. Besides, taking account of a high degree of popularity as the earliest known designer, the word element of “Harvey Ball” shall function dominantly as a source indicator in applied mark. If so, applied mark shall be dissimilar to cited registrations. But the Court denied them entirely based on following reasons. Court found the smiley design representing a smiling human face in a simple and symbolic manner is sufficiently distinctive. No adverse evidence is produced. Given the word element of “Harvey Ball” depicted slightly over the Smiley Face is written in a common font design and a small font size, most impressive portion of the applied mark shall be the Smiley Face from appearance. In view of visual impression, both the Smiley Face of applied mark and cited registrations can be easily seen to depict a smiling human face in a simple and symbolic manner. Accordingly, both marks are deemed similar. 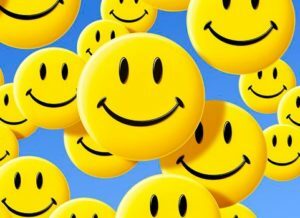 Even if cited registrations happened to be associated with the Smiley Face created by Harvey Ball, it would not affect the decision. Likewise, the word element of “Harvey Ball” in applied mark has less influence to the decision as well. The Court decision gives us a lesson that high popularity of the Smiley Face designer will not guarantee the position of a trademark owner to the design if it becomes a generic symbol as a result of widespread, common use in the marketplace. Posted on 2017年9月16日 by Masaki MIKAMI in Article 4(1)(xi), composite, Composite mark, Famous mark, Figurative mark and tagged Harvey Ball, Smiley design, Smiley Face. The Opposition Board of Japan Patent Office (JPO) decided to cancel trademark registration no. 5861532 for a word mark “UNBROID” written in standard characters covering various goods of class 18 based on a high degree of popularity of “Umbro”, similarity of marks, and close association between goods. Opposed mark “UMBROID” was filed on January 6, 2016 by designating the goods of “industrial packaging containers of leather; bags and the like; pouches and the like; vanity cases; umbrellas and their parts; handbag frames; purse frames; horseshoes; walking sticks; canes; metal parts of canes and walking-sticks; handles for canes and walking sticks; clothing for domestic pets” in class 18 under the name of YOUM COMPANY CO., Ltd. As a result of substantive examination by the JPO examiner, the mark was registered smoothly without any objections on June 24, 2016 and published for opposition on July 26. DESCENTE LTD., a Japanese sporting goods trading company, as an assignee of Japanese trademark rights pertinent to “UMBRO” from Umbro International Limited, filed an opposition in violation of Article 4(1)(xv) of the Trademark Law. No trademark shall be registered if the trademark is likely to cause confusion in connection with the goods or services pertaining to a business of another person. 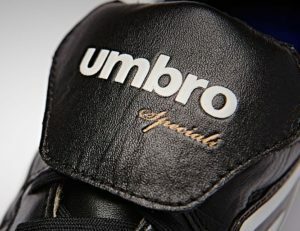 The Board admitted a high degree of popularity and reputation of “Umbro” as a source indicator of sportswear, sports shoes and sports bags distributed by the opponent among soccer fans and apparel consumers. In assessing similarity of marks, the Board considered the opposed mark consists of a combination of two words, “UMBRO” and “ID”. Given “ID” is a commonly used term to mean any means of identification, it is less likely to function as a source indicator nowadays when used in commerce. If so, relevant traders and consumers at the sight of opposed mark would impressively pay attention to a portion of “UMBRO” and associate the mark with a famous sports brand. Therefore, both marks are deemed substantially similar, Board concluded. Besides, the goods in question are mainly purchased by fashion conscious consumers. Consumers of sportswear, sports shoes and sports bags are also of strong interest to sports and fashion in general. Given both goods are substantially consumed by same entities, it should be considered that they are closely associated. Posted on 2017年9月9日 by Masaki MIKAMI in alphabetical name, Article 4(1)(xv), Composite mark, Famous mark, Likelihood of confusion, Opposition and tagged Article 4(1)(xv), DESCENTE, Likelihood of confusion, opposition, Umbro. The Swiss watchmaker Swatch’s effort to acquire the trademark for “SWATCH ONE MORE THING” has run in to opposition from Apple, which argues the phrase ‘one more thing’ is closely associated with the software giant’s founder Steve Jobs. 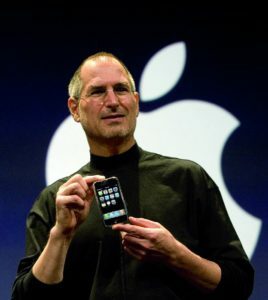 During Apple press events, Jobs was known to precede new product announcements and introductions with the phrase “there is one more thing” in his keynote addresses. The “one more thing” prelude became a fixture at Apple events. The watchmaker has taken out an international trademark on the phrase “SWATCH ONE MORE THING”. The trademark was registered under IR no. 1261460 with the World Intellectual Property Organization (WIPO) in May 22, 2015 by designating more than 40 countries including Japan and various goods in class 9, 14 as follows. Class09 Apparatus for recording, transmission and reproduction of sound or images; electronic payment processing apparatus, apparatus for processing cashless payment transactions; magnetic recording media, sound recording disks; compact disks, DVDs and other digital recording media; apparatus enabling the playing of compressed sound files (MP3); calculating machines and data processing equipment, software; game software for mobile telephones, for computers and for digital personal stereos; electronic game software for mobile telephones, for computers and for digital personal stereos; computers, portable computers, handheld computers, mobile computers, personal computers, wrist computers, electronic tablets and computerized and mobile devices, digital personal stereos, mobile telephones and new-generation mobile telephones featuring greater functionality (smartphones); telecommunication apparatus and instruments; apparatus for recording, transmission, reproduction of sound or images, particularly mobile telephones and new-generation mobile telephones incorporating greater functionality (smartphones); hand-held electronic apparatus for accessing the Internet and sending, receiving, recording and storing short messages, electronic messages, telephone calls, faxes, video conferences, images, sound, music, text and other digital data; handheld electronic apparatus for wireless receiving, storing and transmitting of data or messages; handheld electronic apparatus for monitoring and organizing personal information; handheld electronic apparatus for global positioning [GPS] and displaying maps and transport information; handheld electronic devices for detecting, monitoring, storing, surveillance and transmitting data relating to the user activity, namely position, itinerary, distance traveled, heart rate; covers for computers, portable and mobile telephones; optical apparatus and instruments, particularly spectacles, sunglasses, magnifying glasses; cases for spectacles, magnifying glasses and sunglasses; batteries and cells for computers and electronic and chronometric apparatus. Class14 Precious metals and their alloys and goods made of these materials or coated therewith included in this class, namely figurines, trophies; jewelry, namely rings, earrings, cufflinks, bracelets, charms, brooches, chains, necklaces, tie pins, tie clips, jewelry caskets, jewelry cases; precious stones, semi-precious stones; timepieces and chronometric instruments, namely chronometers, chronographs, clocks, watches, wristwatches, wall clocks, alarm clocks as well as parts and accessories for the aforesaid goods, namely hands, anchors, pendulums, barrels, watch cases, watch straps, watch dials, clockworks, watch chains, movements for timepieces, watch springs, watch glasses, presentation cases for timepieces, cases for timepieces. Immediately after the JPO admitted granting protection to the trademark, Apple filed an opposition in May 19, 2015 on the grounds that the trademark violates main paragraph of Article 3(1) as well as 4(1)(vii), 4(1)(x), 4(1)(xv), and 4(1)(xix) of the Japan Trademark Law. Main paragraph of Article 3(1) demands applicant to have used or intend to genuinely use applied mark. Where examiners have “reasonable doubts” about the use of a trademark or intention to use a trademark by the applicant on the designated goods, the examiners shall reject the application based on the ground. Likewise, the trademark is subject to cancellation if opposition board has convinced of such reasonable doubts during opposition procedure. Apple claimed that Swatch filed the trademark with a malicious intention to hinder the business of opponent since Swatch has been aware of the phrase ‘one more thing’ used by Steve Jobs. Besides, Swatch has not used the trademark. If so, it is obvious that Swatch will not intend to use the mark on designated goods. Article 4(1)(vii) prohibits a trademark which is likely to cause damage to public order or morality from registering. Apple claimed that the trademark should be subject to cancellation based on the ground as long as Swatch, having been aware of the phrase ‘one more thing’ used by Steve Jobs, filed the trademark with a malicious intention to hinder the business of opponent. Apple claimed that the dominant portion of trademark “SWATCH ONE MORE THING” is similar to Steve Jobs’ catchphrase ‘one more thing’, since the phrase has become famous among relevant consumers as admitted in administrative decision of the Turkish Patent Office. Besides, designated goods in class 9 are closely related with Apple products. Apple cited administrative decision of the Turkish Patent Office on the claim as well and alleged that there exists a likelihood of confusion between the applied trademark and Steve Jobs’ catchphrase ‘one more thing’ in due course. 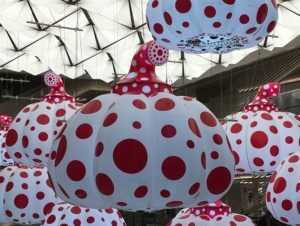 Apple disputed on Swatch’s unfair purpose to free-ride prestigious fame bestowed on the Steve Jobs’ catchphrase as well as to harm or depreciate the value of goodwill by means of trademark dilution. Opposition Board dismissed Apple’s arguments. Firstly, the Board denied famousness of the phrase ‘One more thing’ as a source indicator of Apple partly because the phrase can be commonly used in daily conversation and Apple failed to produce evidences demonstrating the phrase is used as a source indicator other than verbal presentation by Steve Jobs. Secondly, in the assessment of trademark similarity, the Board considered “SWATCH” plays an important and dominative role as a source indicator by taking into consideration of the facts that SWATCH becomes famous among consumers in connection with goods of class 9 and less distinctiveness of the phrase ‘ONE MORE THING”. If so, it should be concluded that because of presence or absence of “SWATCH” both marks are distinctively dissimilar from visual, sound and conceptual point of view. Based on the foregoing, the Board decided the opposed mark is not objectionable under Article 4(1)(x), (xv) and (xix) of the Trademark Law due to less recognized awareness of the phrase ‘One more thing’ as a source indicator of Apple and dissimilarity of both marks. The Board also considered that previous trademark disputes between the parties would not suffice to decide Swatch had a malicious intention to hinder the business of opponent. Therefore, the opposition is groundless to conclude the opposed mark is likely to cause damage to public order or morality under Article 4(1)(vii). Likewise, it is insufficient to conclude that Swatch lacks an intention to use the opposed mark not-too-distant future given the designated goods in class 9, 14 are related to wristwatches to a certain extent (Main paragraph of Article 3(1)). Posted on 2017年8月26日 by Masaki MIKAMI in alphabetical name, Article 3(1), Article 4(1)(vii), Article 4(1)(x), Article 4(1)(xix), Article 4(1)(xv), Catch phrase, Composite mark, Famous mark, Intent to use, Likelihood of confusion, Madrid Protocol, Opposition, Violation of public order and tagged Apple, Catch phrase, One more thing, Steve Jobs, Swatch, Swatch one more thing. The Opposition Board of Japan Patent Office decided to dismiss an opposition claimed by Jaguar Land Rover Limited who alleged trademark registration no. 5844561 for the mark “SKY ROVER” with figurative elements (see below) designating goods of “wallets, school bags, handbags, and trunks” in class 18 owned by a Taiwanese is confusingly similar to “ROVER”, “LAND ROVER”, “RANGE ROVER” famous for four-wheel-drive vehicles produced by the opponent. 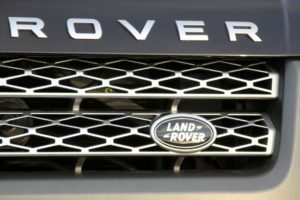 Jaguar Land Rover Limited cited ten trademark registrations for “LAND ROVER” or “RANDE ROVER” and produced evidences to demonstrate substantial use in Japan since 1990’s. However, the Board did not approve high levels of consumer recognition to the marks in association with cars due to a failure to disclose sales amount, advertisement or promotional activity and annual car sales in connection with the cited marks. If so, it is unlikely that consumers consider a term of “ROVER” independently from the configuration of cited marks. 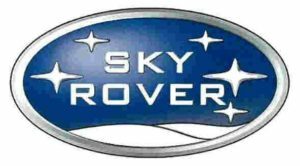 In the assessment of trademark similarity, both marks are apparently dissimilar as a whole from visual, sound and conceptual point of view even if they contain a term “ROVER” in common. Besides, by taking into consideration of remoteness of cars and opposed goods (wallets, school bags, handbags and trunks), it is less likely that consumes misconceive or associate the opposed mark with “LAND ROVER” or “RANDE ROVER” nor confuse goods with the opposed mark from any business entity connected with opponent. 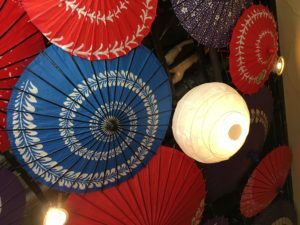 Posted on 2017年8月12日 by Masaki MIKAMI in Article 4(1)(vii), Article 4(1)(xi), Article 4(1)(xv), Composite mark, Likelihood of confusion, Opposition and tagged LAND ROVER, Likelihood of confusion, RANDE ROVER, SKY ROVER. In a trademark opposition between Corning Inc. (USA) and LG Electronics Inc. (KOREA), the Opposition Board of Japan Patent Office (JPO) dismissed the opposition against trademark registration no. 5862676 for word mark “2.5D Gorilla Glass 3”. 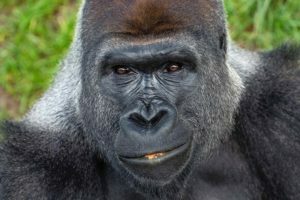 Corning Inc. opposed to register the word mark “2.5D Gorilla Glass 3” designating goods of bracelets, personal ornaments, and jewellery in class 14 based on Article 4(1)(xv) of the Trademark Law by asserting a likelihood of confusion with his famous smart phone cover glass brand “Gorilla Glass”. The Opposition Board admitted a certain level of awareness of trademark “Gorilla Glass” in association with smart phone cover glass and scratch-resistant and durable glass for electronics devices. In the meantime, the Board denied famousness of the trademark among relevant consumers and traders to deal with bracelets, personal ornaments, and jewellery. In the assessment of trademark similarity, the Board held that dominant portion of the opposed mark is considered “2.5D Gorilla Glass” by deleting “3” at the ending of the mark. If so, it is groundless to assess similarity of mark simply based on literal elements of “Gorilla Glass” from both marks. As long as the cited mark “Gorilla Glass” has not become famous in association with bracelets, personal ornaments and jewellery, relevant consumers at first sight of the opposed mark are unlikely to confuse or misconceive a source of origin from Corning Inc. or any business entity economically or systematically connected with the opponent. Posted on 2017年7月21日 by Masaki MIKAMI in Article 4(1)(xv), Composite mark, Famous mark, Opposition and tagged Gorilla Glass, Likelihood of confusion. 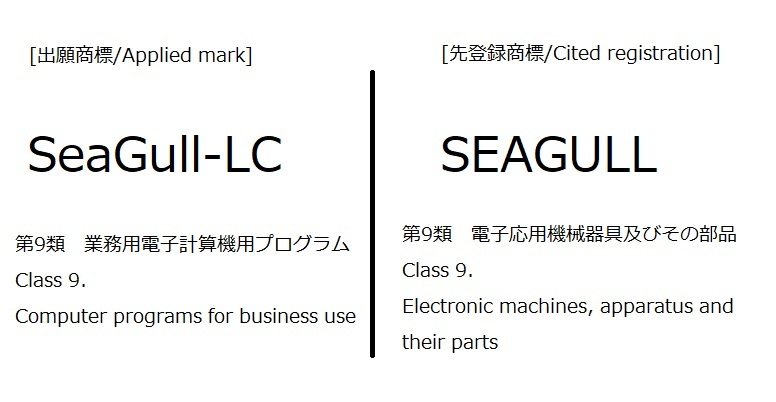 In a dispute regarding similarity between trademark “SeaGull-LC” and “SEAGULL”, the IP High Court took the side of original decision rendered by the Japan Patent Office on the following ground. The term of “SeaGull”, giving rise to a meaning of a gull frequenting the sea and a pronunciation of “siːɡʌl”, is evidently distinctive as a source indicator in relation to the designated goods. In the meantime, a term of “LC” in itself does not have any specific meaning in English or other foreign languages. It becomes common in trade to use two alphabetical letters accompanying a brand name on goods with an intention to represent a model or series of the brand. If so, “LC” lacks inherent distinctiveness as a source indicator of designated goods as long as relevant traders and consumers perceive the term to indicate a model or standards of the goods. In appearance of the applied mark, “SeaGull” and “LC” can be seen separately by means of hyphen. Hyphen in itself does not serve to fuction as a source indicator. It just connects two words to constitute new term as a whole, or separates a composing element of compound word to make it more visible. Since each connected word is respectively distinguishable in the aspect of linguistics, it should be allowed to extract such word connected by hyphen independently. 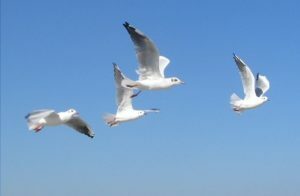 Thus, it is admissible to consider the term “SeaGull” as the dominant portion of applied mark and compare the portion with senior trademark registration in the assessment of trademark similarity. Accordingly, applied mark gives rise to a meaning of a gull frequenting the sea and a pronunciation of “siːɡʌl” from the dominant portion as well as “siːɡʌl-el-siː” from its entirety. In the assessment of trademark similarity, commercial practice can be duly taken into consideration where it reflects regular and constant circumstances relating to the disputed goods in general. Mere commercial facts involving specific goods with disputed mark are insufficient in this regard. Sales record and publicity of trademark “SeaGull-LC” should not be considered in the assessment of trademark similarity due to the above mentioned reason. As a conclusion, the Court found a likelihood of confusion between “SeaGull-LC” and “SEAGULL”. It is worthy to note that the Court considered “hyphen” functions to separate a mark in the assessment of trademark similarity regardless of its actual function to connect words. It is advisable to investigate trademark registration consisting of each word when choosing a trademark including hyphen between word elements. Posted on 2017年7月15日 by Masaki MIKAMI in alphabetical name, Article 4(1)(xi), composite, Composite mark and tagged Hyphen, IP High Court, Japan Patent Office, Seagull, Trademark. In a recent Japan trademark opposition decision, the Opposition Board ruled that famous PUMA logo for sportswear was dissimilar to the “KUMA” mark with bear design for goods in class 25, so as to cause confusion. In the case, Opposition case no. 2016-900308, the Board was faced with considering whether the KUMA device mark of Applicant for “clothing; headgears; T-shirts; sportswear; sports shoes” in class 25 was confusingly similar to Opponent’s famous PUMA logo for “sportswear”. In concluding that confusion was unlikely, the Board stated that two “key considerations” in making such a determination were famousness of Opponent’s mark and the similarity between the trademarks. 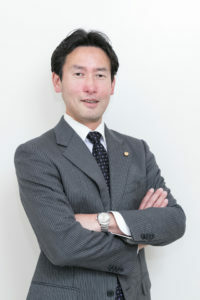 With regard to the former factor, the Board admitted remarkable reputation and famousness of the PUMA logo among relevant public in Japan. The Board nonetheless reached its conclusion of dissimilarity – most likely on the fact that difference in the first letter generates distinctive impression in the mind of consumers since “KUMA” means bears (wild animals) in Japanese. Posted on 2017年6月11日 by Masaki MIKAMI in Article 4(1)(xv), Composite mark, Famous mark, Opposition and tagged JPO, KUMA, Likelihood of confusion, Opposition Board, PUMA. “WORLD SERIES OF FIGHTING” is less likely to cause confusion with “WORLD SERIES” owned by Major League Baseball Properties, Inc. The Opposition Board of JPO (Japan Patent Office) dismissed an opposition claimed by Major League Baseball Properties, Inc., a US corporation managing trademark portfolio pertinent to US major league baseball, and determined to sustain trademark registration no. 5858151 for word mark “WORLD SERIES OF FIGHTING” [Opposition case no. 2016-900288]. The mark in question consists of a standard character mark “WORLD SERIES OF FIGHTING” covering the goods of apparels, shoes, caps, underwear, uniforms and sportswear (class 25) and the service of entertainment or events relating to Mixed Martial Arts (class 41). 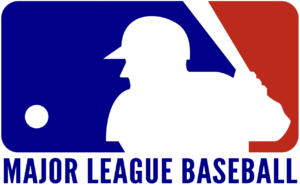 OPPOSITION by Major League Baseball Properties, Inc.
Major League Baseball Properties, Inc. filed an opposition based on the grounds that (i) “WORLD SERIES OF FIGHTING” conflicts with senior trademark registrations for the mark “WORLD SERIES” owned by the opponent due to similarity between marks, (ii) there finds a likelihood of confusion with the source between marks because of high recognition of “WORLD SERIES” to indicate the annual championship of baseball games between the champions of the two major baseball leagues in the United States, the American League and the National League. In evaluating the similarities between marks, the Board analyzed the similarity in the sight, sound and meaning of the marks. The Board concluded “WORLD SERIES OF FIGHTING” is easily distinguishable from “WORLD SERIES” in appearance and pronunciation as a consequence of “FIGHTING” at the end of the mark in question. 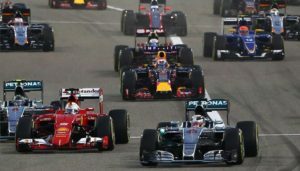 Besides, “WORLD SERIES OF FIGHTING” gives rise to meaning of a series of global events pertinent to martial art match. In the meantime, “WORLD SERIES” can be conceived to mean the championship games between major baseball leagues in the United States. Evidently, both marks are dissimilar from a conceptual point of view. Accordingly, both marks are deemed dissimilar. As long as both marks are distinctively dissimilar in the sight, sound and meaning as mentioned supra, relevant consumers at an ordinary care are unlikely to confuse or associate the source of the mark in question with the opponent when used on goods and services in dispute even if “WORLD SERIES” has become well-known for a source indicator of the opponent among consumers in Japan. Accordingly, the Board concluded the opposition should be denied since it lacks grounds to be sustained. I have no idea why the Board denied a likelihood of confusion between marks despite admitting a widespread reputation of “WORLD SERIES”. As long as opposed mark contains a famous mark “WORLD SERIES” entirely, it should be cancelled on the goods of class 25 at least in view of similarity between goods in dispute. Posted on 2017年5月15日 by Masaki MIKAMI in Article 4(1)(xi), Article 4(1)(xv), Composite mark, Opposition, similarity of goods, Standard character and tagged major league baseball, world series.